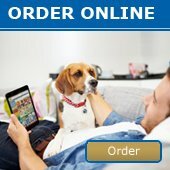 Price Rise Effective 4th April 2016 - LIVE NOW - News - Prestige Pet Products Pty. Ltd.
Due to rising costs most of our product lines will be increasing in wholesale price as we can no longer absorb the current pricing. New pricing will come into effect Monday 4 April 2016. Please note that most of the February increases will not be effected with our major April price increase. Our new pricing is live on our website now. DID YOU KNOW - You can download full and partial price list PDFs from our website? 4. Once you have hit 'Create', and email will be sent to the email address listed. All that's left to do is download it to your computer! *Download link only lasts 24hrs. If the link expires, simply log on and recreate. *Always check the website for the most up to date pricing.